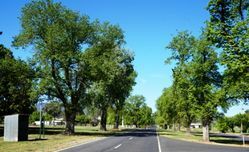 An avenue of trees commemorate those who served in World War One. 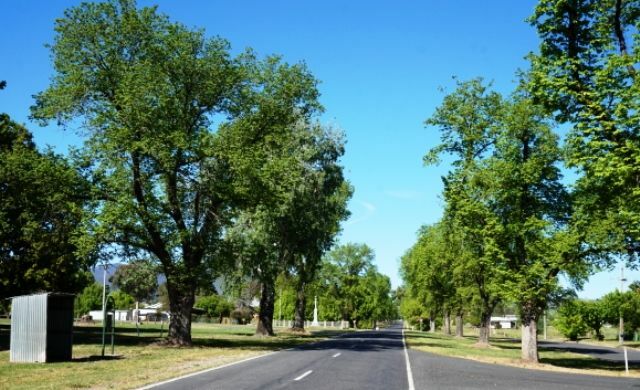 It consists of around 270 mature plane and elm trees that line the Main Street. 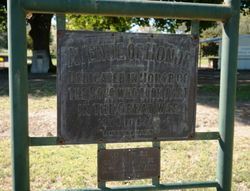 The Cudgewa Avenue of honour was planted on August 3rd 1917 in honour of the old boys of the Cudgewa and Cudgewa North School and others who enlisted to fight overseas in World War One. 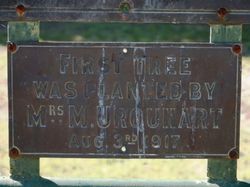 The first tree was planted by Mrs Mary Urquhart of Cudgewa Station in front of the public hall. 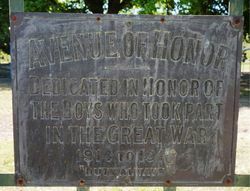 The Argus, Melbourne 10th August 1917.